Featuring the 2015 NASCAR Sprint Cup Series season, NASCAR '15 is the officially licensed racing simulation game. Featuring the 2015 NASCAR Sprint Cup Series season, NASCAR '15 is the officially licensed racing simulation game. Includes Quick Race, Career and Multiplayer modes. Can you taste victory? Get behind the wheel and race against some of the fastest, most talented drivers in the world in NASCAR '15 Victory Edition. Start as a rookie and create your own NASCAR legacy, or take the wheel from your favorite driver and battle it out against your rivals. 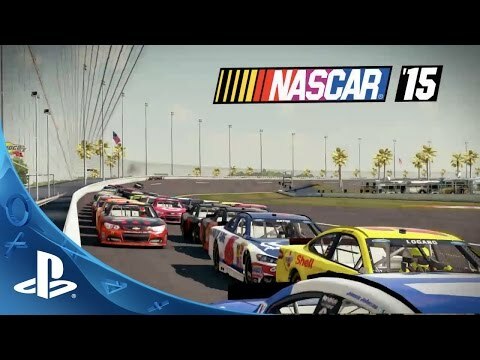 Featuring all of the 2015 NASCAR Sprint Cup Series tracks, NASCAR '15 Victory Edition has an authentic feel with competitive game play. Copyright 2015 DMi, Inc. All Rights Reserved.